This theoretical work has the purpose to thoroughly investigate the problems of shear-horizontal (SH) interfacial acoustic wave propagation guided by the common interface between two dissimilar piezoelectromagnetic hexagonal half-spaces of class 6 mm. At the interface, the mechanical, electrical, and magnetic boundary conditions can support the interfacial SH-wave propagation. The equality of the mechanical displacements and the normal components of the stress tensor (mechanically free interface) were used as the mechanical boundary conditions. The electrical and magnetic boundary conditions can include the electrically closed or electrically open interface, magnetically closed or magnetically open interface, and the others. 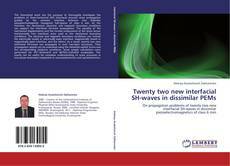 As a result, twenty two new interfacial SH-waves can propagate in such two-layer structures. Their propagation speeds can be evaluated using the obtained explicit forms and the corresponding existence conditions. Some sample calculations were performed for PZT–Terfenol-D and BaTiO3–CoFe2O4 composites. The results can be useful for complete understanding of wave processes in two-phase laminated composites in acoustoelectronics and optoelectronics.